Foreclosures and Forfeitures | Combs Law Group, P.C. In Arizona, lenders may foreclose on deeds of trusts or mortgages in default using either a judicial or non-judicial foreclosure process. We are very knowledgeable with the foreclosure process. We are also knowledgeable with the forfeiture of Agreements for Sale (“Contracts for Deed”). Our attorneys work closely with title companies to ensure that at the end of the foreclosure or forfeiture process there is clear title so that the property can be immediately sold or refinanced. Contrary to popular belief, the bank or other mortgage lender, does not want to own your house. Rather, they want the stream of payments that you agreed to when you borrowed money from them. Therefore, mortgage lenders are not interested in foreclosing on your home. However, you need to bring money to the table when negotiating with your lender. What are the basic alternatives to foreclosure? 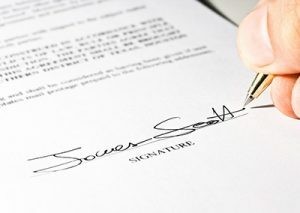 In Arizona a deed of trust is used rather than a mortgage for a loan secured by a home or other real property. Other states use mortgages rather than deeds of trust. Is there an Arizona law that only deeds of trust must be used? 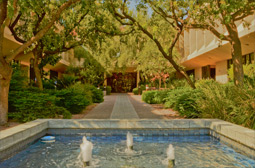 Arizona law always provides for mortgages, and since 1971 Arizona law also provides for deeds of trust. Most mortgage lenders, however, prefer deeds of trust for several reasons. 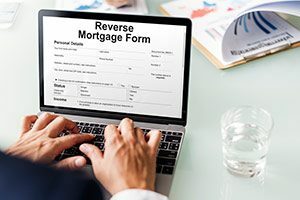 A mortgage can only be foreclosed judicially by court proceedings, i.e., court -ordered foreclosure sale, while a deed of trust can be foreclosed either by a judicial foreclosure sale, or, most frequently, by a trustee’s sale (typically at the courthouse steps or at a title company office). Mortgage lenders save significant time and expense by a trustee’s sale. After a foreclosure by trustee’s sale the buyer can sell the property immediately. After a judicial foreclosure, however, the borrower has the right of redemption, i.e., the right to buy the property back from the buyer, usually within six months. Can a tenant stay in a home after foreclosure? After the foreclosure of a home a 2009 federal law generally allows the tenant to stay in the home until the term of the lease expires. The tenant, however, is not required to stay in the home after foreclosure. A homeowner is seriously delinquent on their HOA monthly dues in the amount of $1,600. The HOA has now recorded a lien on the home. Can the HOA foreclose on this lien? Yes. A.R.S. §33-1807 provides that an HOA may foreclose on a lien in the same manner as a foreclosure of a mortgage if the homeowner has not paid the dues for one year or owes more than $1,200.00. The homeowner cannot make their monthly payments on the home equity line of credit ("HELOC"). Can the lender garnish the homeowner's wages or bank account after the HELOC is delinquent the first month? No. A lender is generally only authorized to garnish a debtor’s wages or bank accounts after getting a judgment. In other words, the HELOC lender must first sue the homeowner for breach of contract and be awarded a judgment before they can take action to collect on the debt.